Russian language in Ukraine. 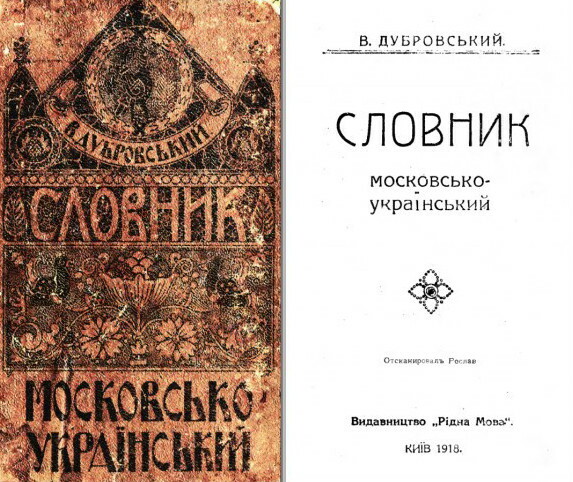 The linguistic contacts involved in the political, ecclesiastical, literary, and commercial relations and population transfers between Kyiv principality, Chernihiv principality, Halych principality, and Volodymyr-Volynskyi principality and the northern Rus’ principalities of Novgorod, Rostov, Suzdal, and Pereiaslavl during the medieval Princely era have not been studied. Nor have Russian-Ukrainian relations in the Lithuanian-Ruthenian period (see Lithuanian-Ruthenian state), and particularly during Muscovy’s rule over the Chernihiv region (1503–1618), been examined. Discounting the Russian garrison stationed in Kyiv from 1654, the first substantial Russian settlements in Ukraine (mainly of Old Believers) arose in the northern Chernihiv region in the second half of the 17th century. From there they spread in the 18th and 19th centuries to Right-Bank Ukraine and Southern Ukraine. Another branch of Old Believers, the followers of Ihnat Nekrasov, settled in the Danube River Delta in the 1770s and then migrated to Austrian-ruled Bukovyna and the Khotyn area in the 1780s. In the late 1950s V. Stolbunova and V. Kuznetsov studied their dialects in the Chernivtsi oblast villages of Bila Krynytsia, Bilousivka, and Lypovany. Because of their religious isolation from the Ukrainian milieu, their original dialects (mostly southern Russian and some central Russian) were relatively little affected, and then mostly in vocabulary, by the Ukrainian language. Ukrainian settlers came into contact with Russian rural colonists in Slobidska Ukraine in the 17th century and in Southern Ukraine in the late 18th century. Except for those living in compact colonies, most of the Russian Old Believers, serfs, military settlers, and refugees were assimilated by the dominant Ukrainian peasantry. In the process Ukrainian Steppe dialects and Slobidska Ukraine dialects were influenced to varying degrees by Russian (eg, the arrested change of o into i and the transition of stressed e into ’o, sporadic akan’e, forms such as na ruk’í [Russian: na ruké, Ukrainian: na rucí] ‘on the arm’, and dual forms of masculine nouns such as dva hóda (Russian: dva góda) ‘two years’). More compact Russian dialectal areas exist in Voznesenka, Vvedenka, and Pavlivka in Artsyz raion, Odesa oblast (brought by settlers from Kursk gubernia); Serhiivka and Uspenivka in Sarata raion (brought from Orel gubernia); the Old Believer village of Velykoploske in Mykhailivka raion in northern Odesa oblast (established over 200 years ago); among the Old Believers in Vinkivtsi raion in Khmelnytskyi oblast; Piatydub near Malyn (Zhytomyr oblast); Rakhvalivka and Krasylivka in Ivankiv raion in northern Kyiv oblast; and along the northern littoral of the Sea of Azov. The Kharkiv oblast villages of Velyki Prokhody and Mali Prokhody in Derhachi raion and Ruski Tyshky, Ploske, and Lyptsi in Kharkiv raion belong to the southern group of the south Russian dialects of the Kursk region, but their stress in verbs has been influenced perceptibly by Ukrainian. Ukraine’s lower urban strata and inhabitants of suburbs and workers’ settlements in the Donbas and Dnipropetrovsk oblast speak a variety of Russified dialects which evolved through the Russification of local Ukrainian residents and the constant influx of Russians, who migrated or were sent to Ukraine. The slang and argot of the Russian lumpen and criminal elements in the large cities (Odesa, Kyiv, Kharkiv, Dnipropetrovsk, and the cities of the Donbas) became widespread in the Soviet period. They retained their Russian forms as a result of the continual seasonal influx of such elements from Leningrad and Moscow. Some features common to Ukrainian and south Russian are characteristic of this mixed Russian-Ukrainian patois (surzhyk): the Ukrainian pronunciation of h and the vowels o, e, y, with sporadic akan’e; the pronunciation of e/’e/je from etymological ě; hardened r and labials at the ends of words; iotized pronunciation of groups of the type vja, bja, pja; the hard č, šč; Ukrainian interword phonetics, stress, and verbal and prepositional government (eg, po domax instead of Russian po domam ‘in the homes’); lexical Ukrainianisms from everyday life; and the nondifferentiation between the predicate and attribute forms of adjectives. The surzhyk of Kharkiv, the Donbas, and Dnipropetrovsk oblast has been studied by Borys Larin, Kostiantyn Nimchynov, and V. Shadura respectively. 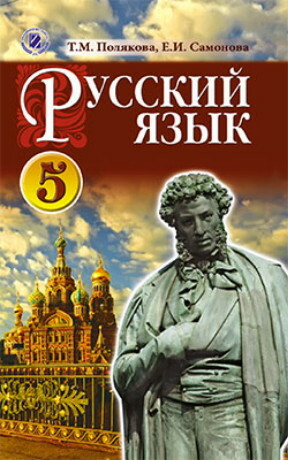 In belles lettres it has been used to depict tsarist military officers (by Volodymyr Vynnychenko), burghers (Mykhailo Starytsky), the Soviet police (Oleksander Korniichuk), and the lumpenproletariat (Vynnychenko, Arkhyp Teslenko, Ivan Mykytenko, Leonid Pervomaisky, and L. Brasiuk).